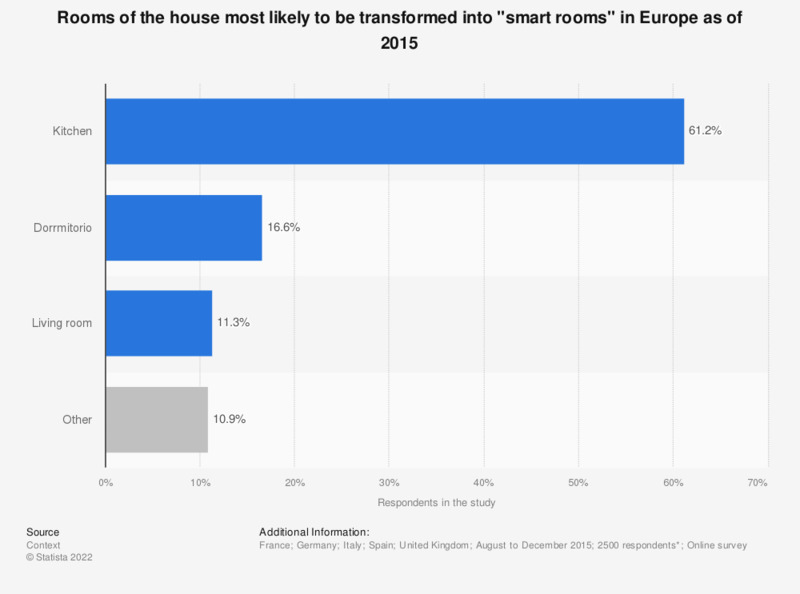 Statistics show which households were most likely to be transformed into smart rooms by their owners, according to a study carried out in selected European countries in 2015. The kitchen was the ideal one for over 60 percent of respondents, followed by the bedroom. * Sample: 500 individuals from each country.